Soft Cover Binding, at Houchen Bindery Ltd., otherwise referred to as “perfect binding” is performed as a trade service to commercial and book printers, primarily throughout the midwest. Our perfect binding capabilities are offered in 2 distinct methods: EVA perfect binding and PUR perfect binding. Any soft cover book with coated paper, or needs for heavy usage (such as schoolbooks or workbooks), should be done using our PUR binding. 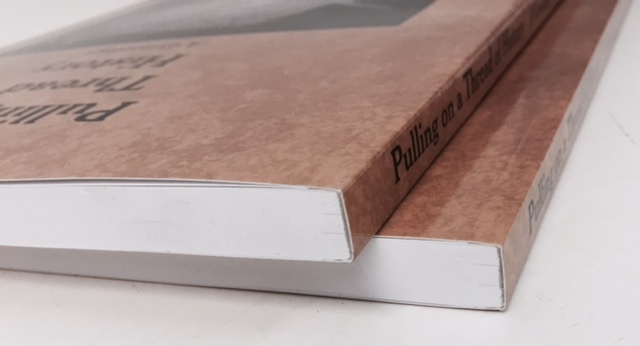 Books with uncoated papers, that do not undergo heavy usage may opt for EVA binding, but our preference is to recommend PUR binding for most projects.